Ok, well I didn’t actually meet the Pope. But I did go to the Vatican city! Inside was just amazing! No expense was spared and nothing is too lavish at the Vatican. I touched a marble statue of a lion sculptured from a now-extinct material. Estimated worth is $60 billion! For one statue! But the ceiling paintings by Michelangelo in the Sistine Chapel are a cut above the rest. They are about 3 stories up and painted onto a curved ceiling, so the proportions had to be exact. 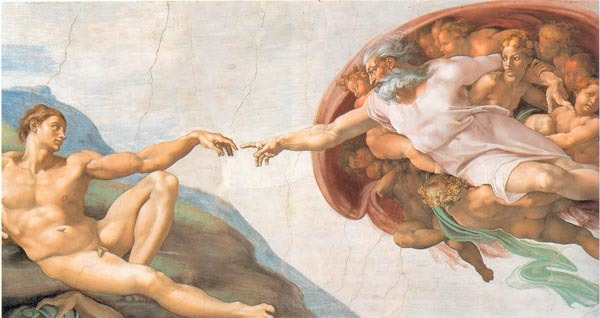 There’s actually 4ft of ceiling space between the finger of God and the finger of man! (below). No user commented in " The Pope, the Vatican City and Me "